" Haute Attack or Heart Attack™ "
Cassie has did it again! Cassie is known for her few hits. But what made her , HER, was when she pulled the "Cassie"! When she had shaved have of her head everyone went o_O. But of course months , many months later you see about every girl with a "Cassie Hairstyle". 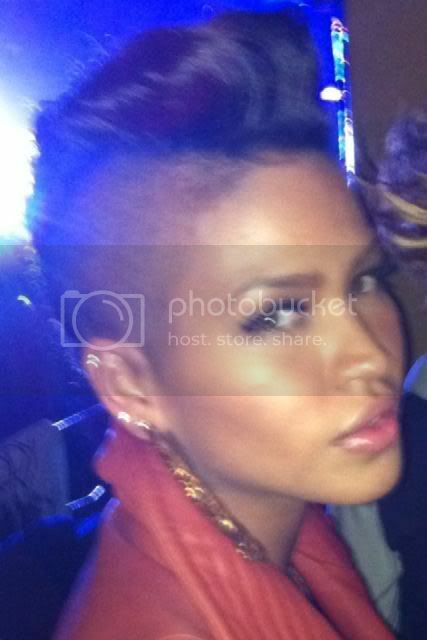 That hairstyle was never really my taste but I have to admit, it looked darn good and Cassie's head. But now Cassie has went even further, but it seems a little for subtle.. She has finally shaved her head and got a regular Mohawk! Some people are still saying "wth is wrong with her" " what was she thinking" but how much you want to bet they're going to have this hairstyle in a few months. I personally like it on her! I was waiting for these to happen. & To be honest, I wouldn't be surprised if she pulls a "Amber Rose"! 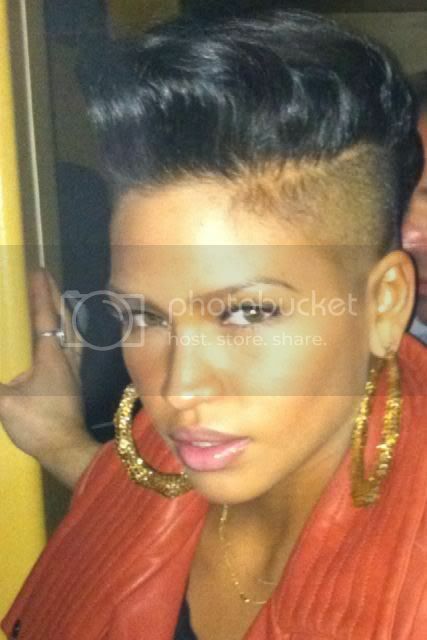 What do you think about Cassie's New Do? Or should she just pull a "Amber Rose" already!? Well, she does have killer eyes that allows her to wear just about any hairstyle. I sure couldn't pull that look off. Americans can sometimes strike me as quite conservative. We were rocking the shaved sides and Mohawk yonks ago. I personally had my 'hawk in 2008 and had a bald head after that for about 18 months! People complain about the weave and then they complain about natural hair - a girl just can't win! Personally I think she looks smoking HOT! But it's becoming more accepted everyday.